Javed Akhtar shocked to find his name in ‘PM Narendra Modi’ trailer; Here’s what he did next! 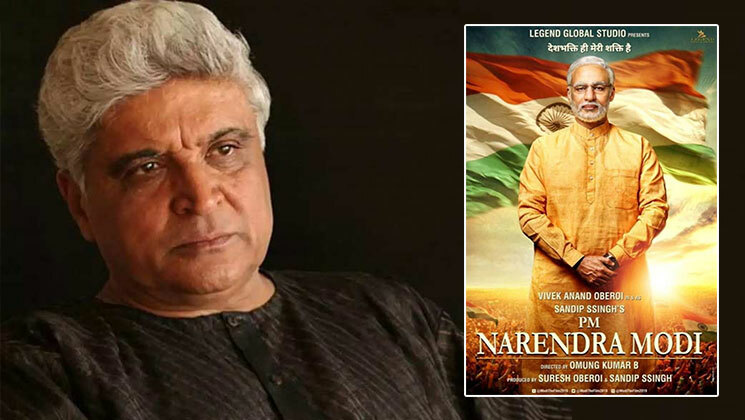 Home Bollywood News Javed Akhtar shocked to find his name in ‘PM Narendra Modi’ trailer; Here’s what he did next! ‘Mary Kom‘ director Omung Kumar is all set to present his upcoming film ‘PM Narendra Modi‘, a biopic based on Prime Minister Narendra Modi’s life. After unveiling several posters of the film, on March 21 the makers of this biopic released its trailer. Soon after the trailer was out, netizens called out Javed Akhtar (who often criticises PM Modi) for being a part of this project. The veteran lyricist took to Twitter and denied writing any songs for the film. In fact, he expressed his shock over being falsely credited as the lyricist of ‘PM Narendra Modi’. Another veteran lyricist Sameer Anjaan’s name too appears at the end slate of the biopic’s trailer. Interestingly even he denied being a part of this film. Sameer took to Twitter and openly denied writing any song for the biopic. ‘PM Narendra Modi’ is being produced by Sandip Ssingh, Anand Pandit and Suresh Oberoi. However, none of the makers of this biopic have issued any statements regarding the claims of Akhtar and Sameer. The film will be released in Hindi, Telugu and Tamil on April 5, a week before the General Elections. Also Read: Salman reverts to Narendra Modi’s tweet; Will he also share Vivek Oberoi’s trailer on the PM’s biopic?